The days i’ve had another chance to participate to this leadership conference. 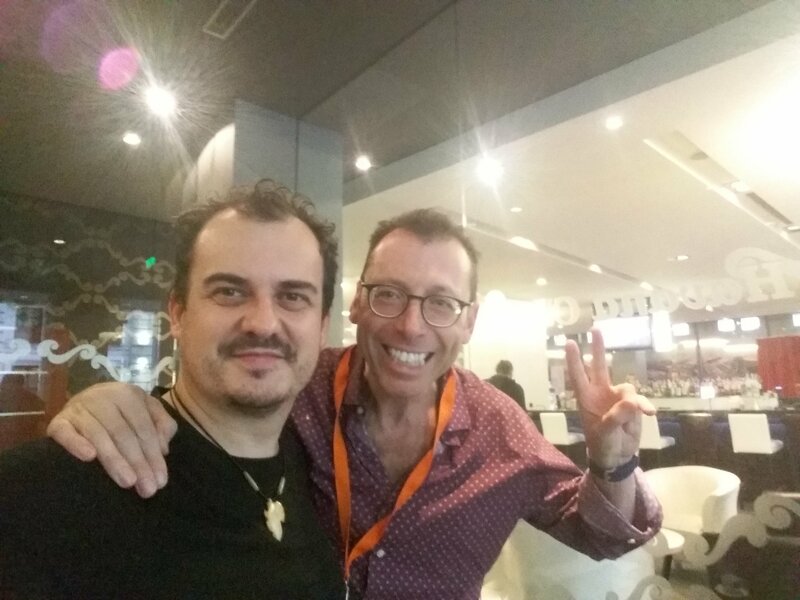 I was among awesome people like Alex Steele, who was the leader and coordinator of the jazzie quartet on which i’ve played, and Ferenc on drums and Mircea on the bass. We had some cool time together playing some jazz. The whole idea was arround the jazz improvisation and how this phenomenon can be implemented in the corporatist spectrum. 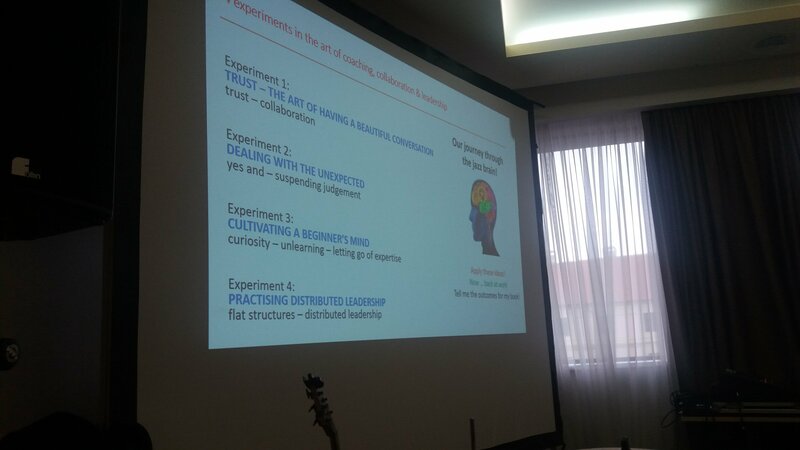 We had some cool experiments through jazz and the participation of some future leaders from arround the world or even people, who already leaders in the corporational environment. Cultivating a beginners mind, and to be always like the mind of a child, filled with 100 % of curiosity, exploring. Go of the expertise. Practicing distributed leadership, and this was awesome to see for persons form the corporatist world, being behind the artists and through some very well determined signs on the shoulders, while we were playing, they could distribute the leadership between us, so you either could create a good environment for leadership, or a chaotic one. As in jazz they say it’s 95 % improvisation and 5 % theme/plan/strategy, maybe in the bussiness/entrepreneurists world, it’s exactly the opposite, 95 % theme/plan/strategy and 5 % improvisation. Maybe this would apply inside the cryptonian world as well, don’t you think? After all, this kind of experiments are very genuine, and thanks to Alex Steele, we can explore and always be like the childs with the beginners mind, paying attention to every impulse, being responsive to every sound, creating without questions mark, going of the expertise … It was a grea adventure. Here’s me with my brother Alex Steele. Enjoy your day steemians, and let’s stay focused on the right notes we’re picking up in our improvisations, and not just leaning on the fact that there are no wrong notes, cause in my opinion this might lead to another episode, named … annything goes.